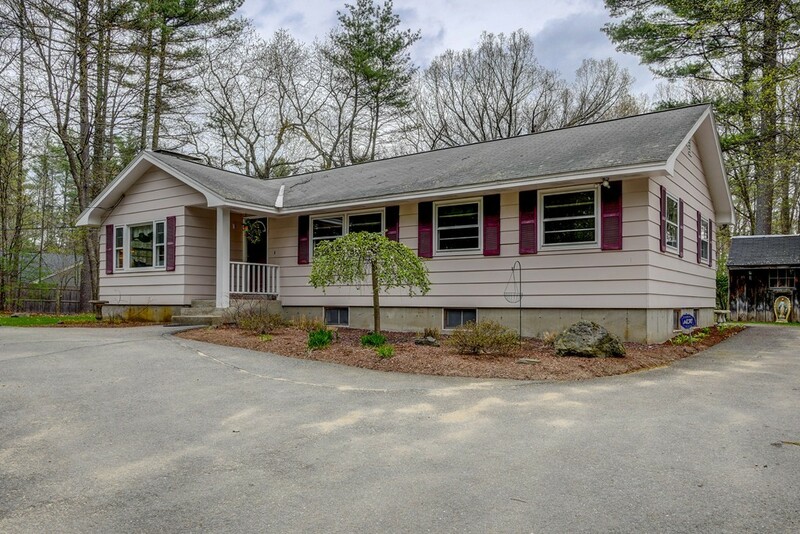 Fabulous expanded ranch shows pride of ownership and is in move-in ready condition. Open concept living room or living/dining area, updated kitchen with island open to a family room, or make it a big eat-in kitchen. Loads of cabinet space and a great layout for cooking and entertaining. Step out onto the deck with screened gazebo and enjoy the private back yard with garden areas, fire pit and a large 2 room shed for all of your toys. Lower level features a large finished room perfect for an exercise/playroom/office (not included in square footage). The rest of the basement features a laundry room and a large partially finished area awaiting your personal touch. The handy person will LOVE the workshop which comes with an industrial shop vac. 3 spacious bedrooms, remodeled bathroom, freshly painted interior, and lots of closet space. Buderous G15 heating system added in 2009 with 3 zones, irrigation system with 5 zones, deck 2004, indirect hot water heater 2017. Than 1 Year Old) & Dryer (2 Years Old) Negotiable.